It's time to get my blogging mojo back and with a bonus new camera I may be able to get some decent shots this year. 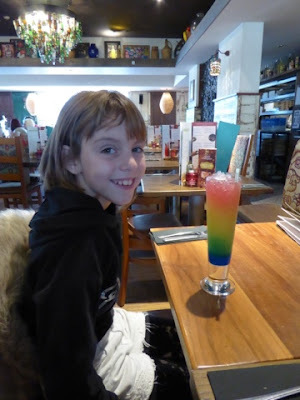 New Year's Eve was Gee's 11th birthday and she had a fabulous day with her brothers ice skating and a delicious meal at Chiquito, she even tried her first Mocktail. Happy Birthday Gee, it looks like it was fab! Sounds like a really fund day for everyone - that drinks looks good too!